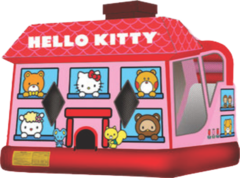 Hello Kitty invites you to come party in her new house! 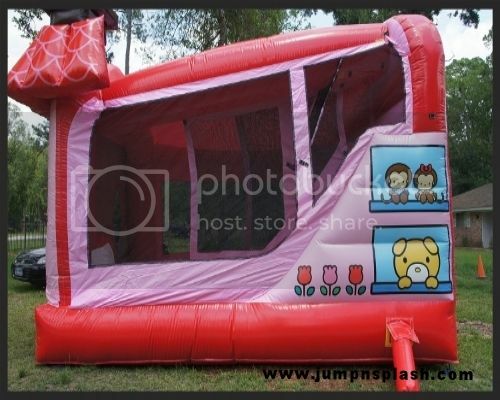 This combo bouncer is the only one of it's kind in our inventory. 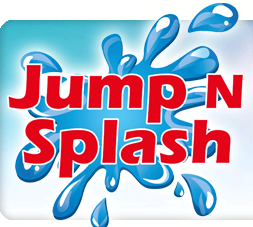 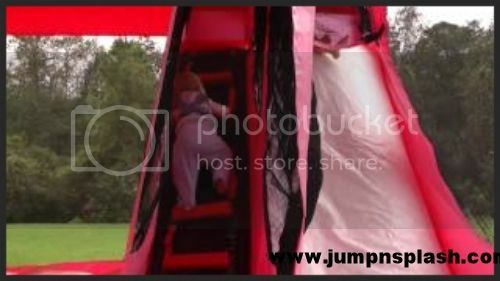 It is larger than most combo units, has a slide inside, and is one of Houston's favorite party additions. 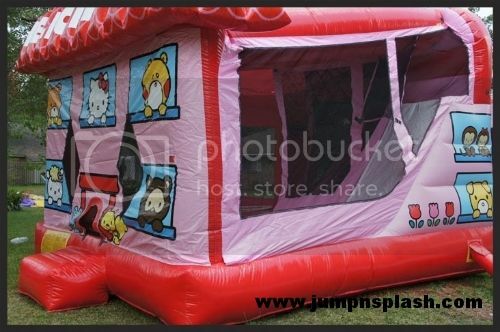 Make Hello Kitty the theme for your next birthday party, and invite her along with this original trademarked Hello Kitty Combo Bouncer.